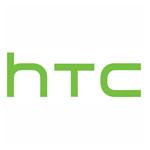 Five HTC designers including VP of Product Design Thomas Chien, R&D Director Wu Chien Hung, and Senior Manager of the design team Justin Huang (who sketched the HTC One's iconic design) have been interrogated and arrested under suspicion of expense fraud and stealing trade secrets following a complaint from HTC Chairwoman Cher Wang. Chien, Wu, and Huang had planned on setting up a new design company focused on the Chinese market, intending to resign after receiving mid-year bonuses yesterday. Chien and Wu, according to Engadget, are in custody, while the others were released on bail. Chairwoman Wang's original complaint related to Chien having been caught downloading sensitive information related to the yet-unannounced Sense 6.0 interface and sharing it through email, though Chien, Wu, and Huang had evidently been involved in falsely claiming commission fees of over $334,000 USD by invoicing HTC for the One's aluminum design through an external firm, while the work was actually done in house. In a statement to Engadget, HTC had the following to say. Obviously, the investigation is still under way. What will become of the accused designers is still up in the air, but things don't look good for their planned design house, currently registered under the name Xiaoyu.